Gorgeous in both its Oscar-winning cinematography and its star, Nastassja Kinski, but ultimately too choppy, pacing-wise, for its three-hour runtime. Glad to see it, though, as it was one of my Dad's favorites around the time he and my mother were married in 1980. Its sort of great patriotic warmth and sentimentality towards true life heroes, particularly first responders, not to mention the brilliantly intense recreation of Sully's water landing, is diminished by redundant explanations and a feeling as if there was literally nothing at stake for its title character. Not Hanks' fault. He kills as usual. This film is an ode to we once young men with our arrogant young intellectual minds. Once Ang Lee's writing partner and producer, James Schamus makes a solid classical debut as a director. One that understand that young man, just as author of the source novel Philip Roth does, that arrogance and immaturity and, most essentially, that sexuality. Sarah Gadon is the love of my past life, such a beauty. Her Olivia Hutton is a harsh reminder of the kind of woman I felt inexplicably drawn to for all of my adolescence. The kind of woman who tortures the likes of intellectual elitists like myself and Logan Lerman's Marcus Messner. I really connected with this one. One of my personal favorites of the year. Steven does his "unofficial" Top Ten of 2016. Ryan has a killer Top Five of the year. Brittany predicts the Golden Globes. Fisti honors the year in music in his epic style. Dell drops his best and worst of the year (so far). Cameron, a new friend I made this past year here and on Instagram, reviewed Denzel Washington's Fences, which I can't wait to see. I watched 195 movies in 2016. I'm getting excited to see La La Land. Hopefully, I'll get to see it pretty soon. Thanks for the link! It's so good! Take the wife to the theater for it ASAP! No prob man. I saw Sully this week too. I think I enjoyed it a bit more than you though you're point about the redundancy is valid. Sorry to see Laura Linney wasted in the "understanding wife" role but Tom Hanks is just great. Similar and dissimilar he reminded me of his work as Jim Lovell in Apollo 13. I also saw Passengers which while visually impressive was just okay overall. One that I watched more out of curiosity than any high expectation was Son of Captain Blood with Sean Flynn playing the son of the pirate character his father Errol played in the original Captain Blood 30 years earlier. It was a Spanish made quickie and while he wasn't awful and certainly attractive Sean was no Errol in terms of acting nor screen impact. I don't know if you are familiar with Sean Flynn's story or not but he had a brief acting career in Europe with this being the best known of his films. He then switched over to photo-journalism where he was much more successful working for Paris Match, Time and the UPI. It was while he was covering the Vietnam War for them that he and another reporter disappeared in the Cambodian jungle in 1970. He was 28. It was briefly believed his remains had been found about five years ago but turned out to not be so. I also did a mini marathon of Debbie Reynolds films in her memory. I'm a huge fan so I watched some of my favorites Tammy and the Bachelor, This Happy Feeling, The Catered Affair and How the West Was Won and once again loved them all. 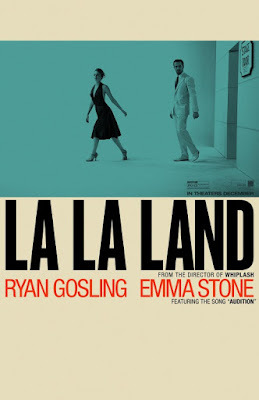 I'm looking forward to seeing La La Land, hopefully soon. Hanks is always good. No doubt. I like the Apollo 13 comparison. Heard Passengers just wasn't much...and silly. That's a crazy story about Sean Flynn. Very interesting. So sad to hear about Debbie Reynold's, especially that is was so so close to the passing her daughter. Loved Carrie Fisher! Please do see La La Land asap! It's lovely. It's really great. Hope you can get to La La Land soon. Thanks for the link, man! I definitely appreciate it! I liked Sully a lot better than you did. Seeing in the theater was such an amazing experience. I haven't seen Indignation yet, but I definitely plan to. I really enjoyed War Dogs. Jonah Hill was great in that movie. (That laugh he used in the film was hilarious). I haven't really watched that many in the past 2 weeks, especially considering I've been on Christmas vacation. I've spent most of my vacation finishing watching The Sopranos. That's probably my second-favorite TV series of all time (behind Six Feet Under. Nothing will ever top that show). 2 weeks ago, I saw Rogue One: A Star Wars Story. It was great, & it's probably up there with A New Hope, The Empire Strikes Back, & The Force Awakens. (Also, RIP Carrie Fisher. Also, RIP Debbie Reynolds). The next day, I saw La La Land. Oh. My. God. It. Was. Amazing. I loved every single beautiful second of it. It's not only the best film of the year, or the decade, or the century, it's the best film I've ever seen. It's so absolutely amazing. I will adore & cherish this movie forever. Also that day, I saw Jackie. It was really good, & Natalie Portman gave one of the best performances of the year. A week later, I saw Arrival for the second time. I loved it even more the second time, & I picked up on a lot more this time. On Christmas Eve, I saw Lion. It was astonishing. Such an amazing story. The day after Christmas, I saw Fences. It was so amazing. On New Year's Eve, I watched Sing Street. That movie was absolutely amazing. Today, I am going to see Manchester by the Sea for the second time. Also, I still plan to watch Captain Fantastic, American Honey, Swiss Army Man, Florence Foster Jenkins, Indignation, & The Neon Demon over the next few weeks. This coming weekend, I plan on seeing Hidden Figures & Elle (a French film directed by Paul Verhoeven starring Isabelle Huppert). Love that La La Land touched you so much. It has really worked on me as well. I think 20th Century Women will end up on mine as well. I love Mike Mills' last film, Beginners. So great. I really need to see both Fences and Sing Street. Ugh. Hate you have to wait so long. Excited for you though. I've already seen it twice. Thanks for the link! I can't wait to see La La Land. Ugh, the wait is so long. No problem. Hope it gets to you soon. I loved it more the second time.